Edwin K. P. Chong, Ph.D.
Edwin was born in Kuala Lumpur, Malaysia. He received his B.E. (Hons.) with First Class Honors from the University of Adelaide, South Australia, in 1987—graduating at the top of his classs in the Department of Electrical and Electronic Engineering. He received the M.A. and Ph.D. degrees in 1989 and 1991 respectively, both from Princeton Universty in the Department of Electrical Engineering, where he held an IBM Graduate Fellowship. He taught at Purdue University in the School of Electrical and Computer Engineering (1991 - 2001), where he was promoted to Professor. He is currently a Professor in the Department of Electrical and Computer Engineering and a Professor in the Department of Mathemtatics at Colorado State University in Fort Collins, Colorado. He also serves as Director for CSU’s Information Science & Technology Center (ISTeC). Professor Chong is a Fellow of IEEE. He has served as Vice President, Financial Activites, IEEE Control Systems Society, 2012 - 2o14. He is President-Elect, IEEE Control Systems Society, 2016. He is a Senior Editor of the IEEE Transactions on Automatic Control and served on the editorial boards of Computer Networks, Journal of Control Science and Engineering, and IEEE Expert Now. Professor Chong is coauthor of a best-selling book, An Introduction to Optimization, Fourth Edition, Wiley-Interscience, 2013. He has also written (at this time) 94 journal papers and in addition, his list of conference proceedings and presentations number 194. For details and see also Google Scholar citations. His professional research interests are primiarily in the areas of control, optimization and modleing, with applications to computer/communication networks, sensor networks, and wireless systems. He received a National Science Foundation Faculty Early Career Developement (CAREER) Award in 1995. On his Personal Journey and Faith. 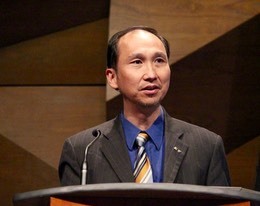 Professor Chong currently serves as a volunteer Ministry and Research Senior Fellow with Academic Connections. His interests include theological studies and philosophy. He has done numerous presentations on various topics at local Christian faculty fellowships and at faculty fellowships around the world.